Whew! It’s been an incredible summer so far. We’ve shown the game at E3 in Los Angeles and Casual Connect in San Francisco and have gotten a lot of great feedback. We’ve been hard at work on developing new abilities and zones to explore but it’s time to do a quick news recap! On Wednesday, June 15 at 3:30 PM we showed a demonstration of Refactor on the Devolver Digital Twitch stream. Players and presenters always seem fascinated with the game after the secret of the world is revealed and we’ve gotten a lot of positive feedback. You can watch a replay of the stream here. Later that evening we showed off our game at the Media Indie Exchange (MIX). This event was located on a rooftop overlooking downtown Los Angeles. Attendees seemed really enthusiastic! We demonstrated the game on our Steam Machine dev-kit which was provided to NextGen Pants last year by Intel. It was wonderful to interact with other talented Indie Developers and meet members of the public and press to share our game with them. 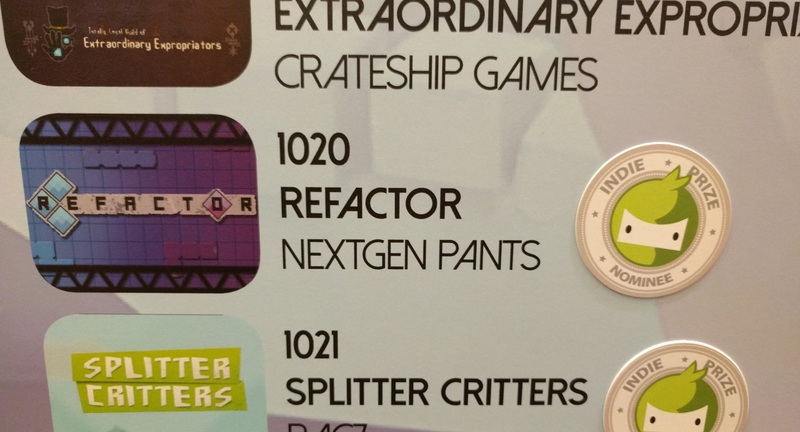 From July 17th to July 20th we presented Refactor at the Casual Connect event. We were one of one hundred games to be selected to vie for an Indie Prize Award and were one of four finalists for the Most Innovative Game category. 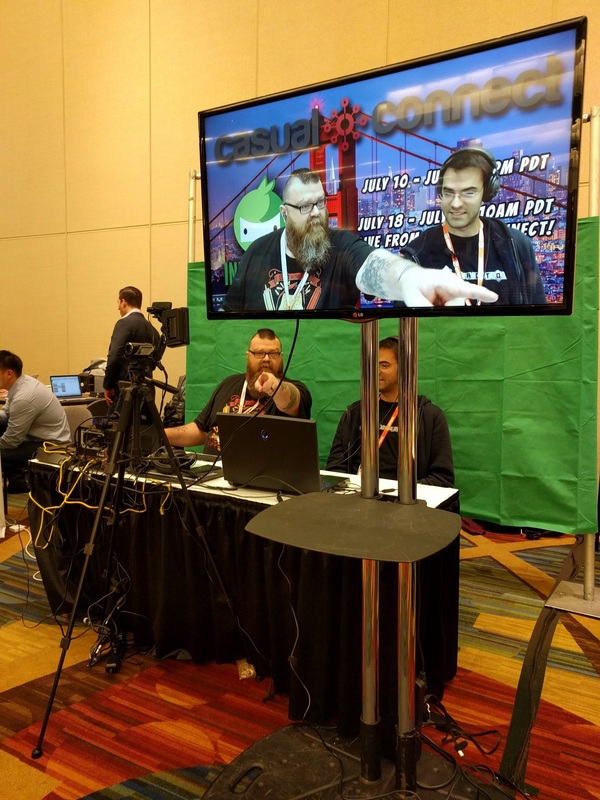 Our game was also presented on the Casual Connect Twitch stream. You can watch the segment on Refactor here. During the stream there was a very noticeable jump in the number of viewers which we can directly attribute to the 4 Player Network Community. We can’t thank you guys enough for your encouragement and support! It was wonderful to see such fabulous folk there! Thank you INDIE for hosting us on his channel! You can find his work here. There is more to come! We will be posting an update on the game this Saturday, July 23, 2016 including new screenshots and gifs of new shape gameplay! Come and visit us on Saturday to get the news first!